Water Specialties Custom Builds Automatic Filtration Units To Meet Clients Water Chemistry. Priced $595 & up! Varies based on tank size, media, flow rate, contaminate removal, model/complexity of control valve. Deluxe 3 stage automatic whole house water filter utilizes Filter AG, KDF, & GAC. This state of the art whole house water filter system provides chlorine and chemical-free water to the whole house including all sinks, showers, dish washers, and washing machines for 700,000 gallons or 7 years! Our Clack metered head provides automatic back washing which keeps the media free of fine sediment and silt, prolonging its life and enabling it to function at peak performance. - Filter AG works to remove sediment larger than 25 microns and has a lifetime warranty. - KDF-55 media safely reduces or removes chlorine, iron, hydrogen sulfide, heavy metals, and bacteria from the water. - Granulated Activated Carbon (GAC) removes organics and some inorganics. GAC is especially effective for absorbing trace organic compounds such as THMs and pesticides, chlorine and disinfection by-products. 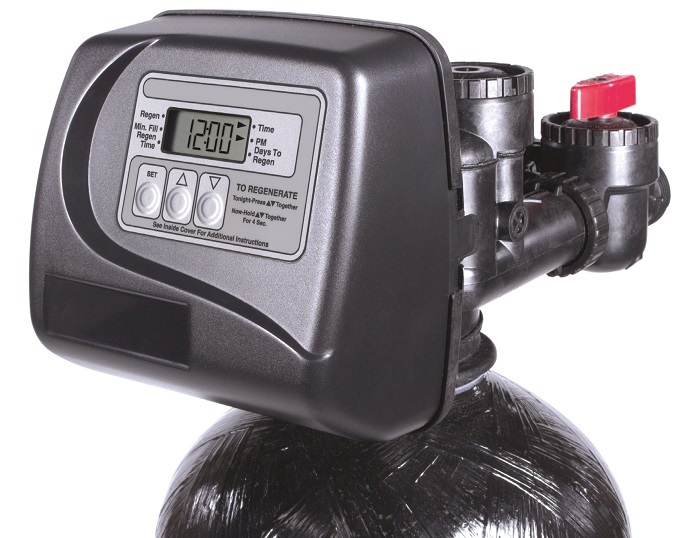 This unit handles flow rates of 10 gallons per minute, with a pressure loss of less than 2 psi loss at 60 psi. All components are NSF certified and warranted 10 year tank / 5 year head/valve.